Here are the weekend sports ratings for Saturday and Sunday October 22-23, 2016. Eligible programs include sporting events on broadcast and cable networks (minimum audience size 150K P2+). Programs are grouped by sport and ranked within each sport by P2+ audience size. 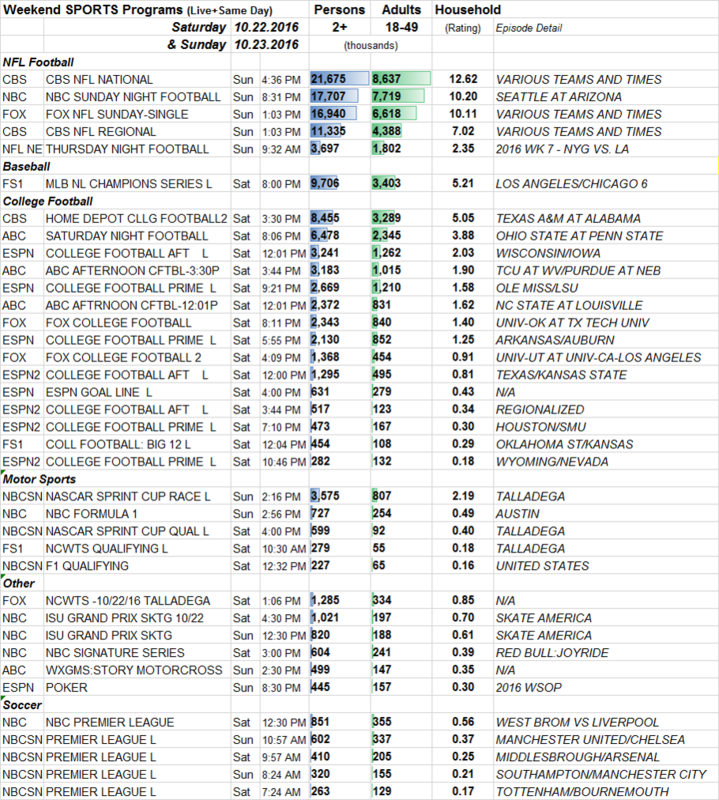 Here are the weekend sports ratings for Saturday and Sunday July 9 and 10, 2016 from broadcast and cable. 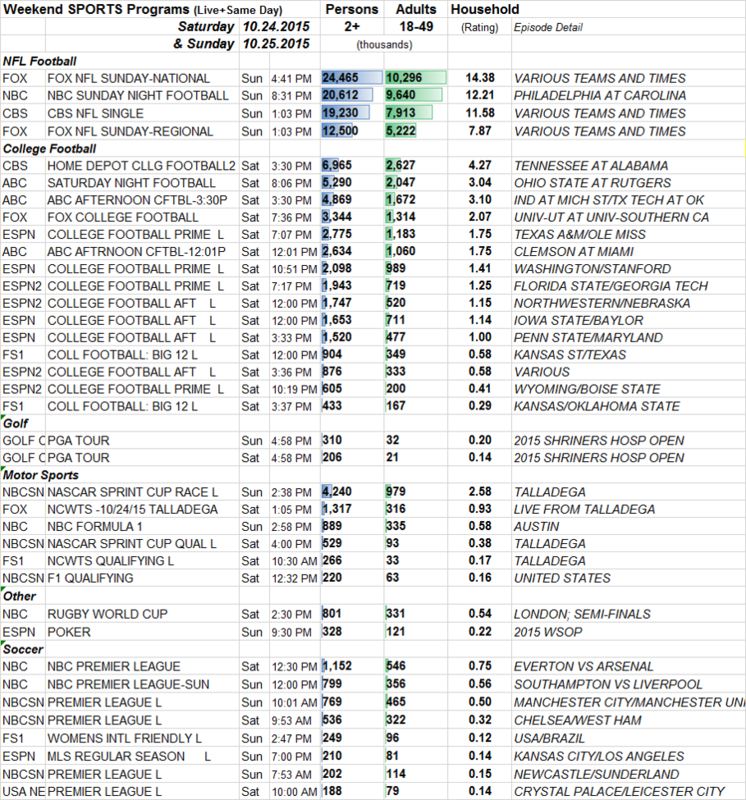 Starting next week, sports ratings in this format will be available early morning each Tuesday (except for holiday weeks or unusual delays, of course).